It’s that time of the month when we partner with local organizations and give back to the community! This month we’ve partnered with June Jordan School For Equity, an SFUSD community school, and just over the hill in the Excelsior district. They will be raising money for their interactive intersession program, a 3 week experiential learning program that takes students out of the classroom and into the real world. 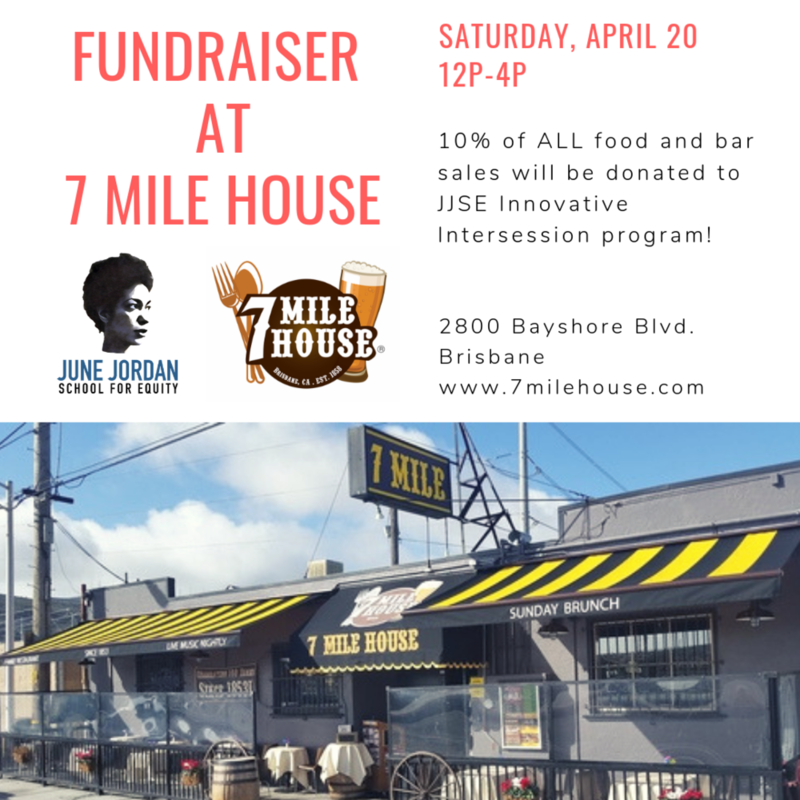 10% of ALL food and bar sales will be donated to June Jordan!